While pyrotechnics are still popular on the 4th of July, scheduled doubleheaders began to fade in the 1970s. Which helps to explain why the players with the most homers on our nation's birthday -- Duke Snider 9, Willie Mays 8, Larry Doby 7, Mickey Mantle 7 -- all started their careers in the 1940s or '50s. 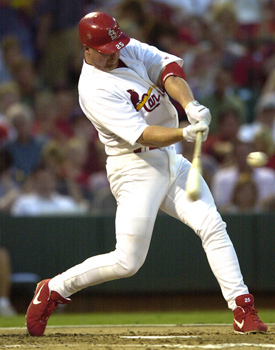 Other players with the most July 4th HRs are: Rafael Palmeiro 5, Edgar Martinez 4, Moises Alou 4, Reggie Sanders 4, Jim Edmonds 4 and Brian Giles 4. Barry Bonds has hit just three Independence Day dingers: in 1991 off the Cubs' Greg Maddux, in 1994 off the Mets' Mike Remlinger and last season off the Padres' Jake Peavy. On July 4, 1960 Mickey Mantle became the 18th player to hit 300 career home runs. Mantle hit a three-run shot against Washington's Hal Woodeshick, but the Yankees lost to the Senators, 9-8. On July 4, 1964 Mickey Mantle hit a 3-run homer in the 8th inning and the Yankees went on to beat the Twins 7-5. 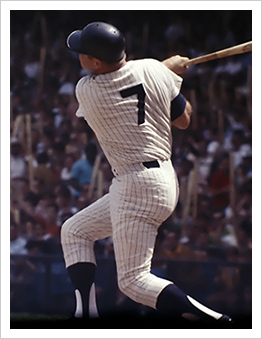 July 4, 1966 Mickey Mantle hit two homers to drive in three runs for the Yankees, but they lost to the Twins 8-3. On July 4th 1988 Mark McGwire belts a 16th inning homer to give the A's a 4–2 win over Cleveland. In the 8th inning of a game against the White Sox on July 4th 1961, Harmon Killebrew, nicknamed “The Killer,” hit his only career inside-the-park home run and the first one ever hit inside the Metrodome to give the Twins the lead and the eventual victory. 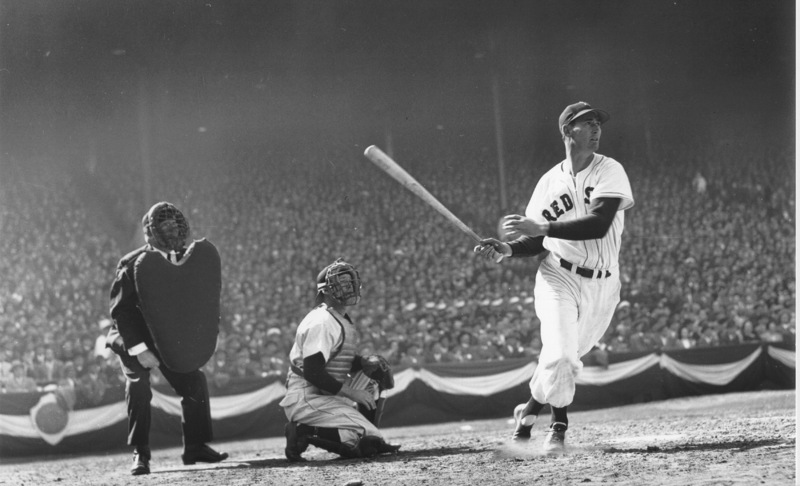 On July 4, 1948 500 HRC member Ted Williams batted against three different pitchers in the 7th inning, a first in American League history. Boston snapped a 5–5 tie by scoring 14 runs to beat the visiting Philadelphia Athletics, 20–8. Williams also made a rare appearance as a pitcher, facing three batters in the final innings of the blow out victory.